Ms. Castrillon has been in practice for over 17 years in the State of Florida. Diana started her practice as a defense attorney representing insurance companies, and for the last 15 years, Ms. Castrillon has been representing only injured workers in Workers Compensation cases. Diana obtained her undergraduate degree from the University of Florida in 1997 with honors, her law degree from Nova Southeastern University in 2001 with high honors. She has been an active member of the Florida Bar since 2001. Diana was named Outstanding Female Lawyer by the Woman’s Lawyers Journal in 2004. She sits on the Board of Directors for the Florida Worker’s Advocates, is a member of the Executive Council for the Florida Bar Workers’ Compensation Division and chairs the Broward County Bar Workers’ Compensation Section. In addition, Diana is a frequent contributor of articles for legal publications such as “The Barrister,” “The Florida Bar Journal” and the “Florida Bar Workers Compensation Section Quarterly.” From 2008-the present, Diana has been a speaker and presenter at the FWCI Annual Bar Convention to discuss the topics of ethics and professionalism to other attorney’s and claims professionals in the insurance industry. 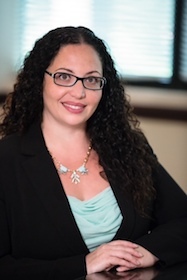 In addition, Diana is an active member of the American Bar Association, the Florida Association of Hispanic Attorneys, the Broward County Hispanic Bar Association, and the Broward County Trial Lawyers Association.